A lot of the entrepreneurs, mostly those who are first time founders, are not all that aware of how outside capital is raised. There are some of you who might understand this, but don’t know how to hire and retain talented professionals for running your startup. With combining different financing tools and compensation packages, it is possible for a new startup to gather the funds and outside talent needed to grow. If you are a new founder, it may be easy for you to be overwhelmed with many new terms like “pro rata,” “capitalization tables,” “term sheets,” along with the legal implications and various valuation metrics that comes with these things. Hence, the moment you start out to open a new business and get into all these details, it is better to learn the do’s and don’ts of running your business efficiently. And that is just what you are going to go through today – a simple example of a company that started with the pre-seed round, convertible notes and ESOs. You would learn all about these three terms and how the structure worked well for the company. So, let us start the company and begin our quest towards success. I will also add in details how this is displayed and managed on Eqvista. Note: It should be noted that the companies and the funds mentioned here are all fictitious and have been created for explaining the example. Hence, if there is any kind of resemblance to any real firms, it is purely coincidental. Out of the examples that I have in mind, here is one where two friends come together with an idea of producing and selling affordable solar heated jackets in the market for the winter season. The two founders are named Mike and Tony. With this idea, they wanted to help all those who get affected by the cold easily. The best part about their idea was to create it in the cheapest possible way so that the jacket can be highly affordable for their customers. Do you want to manage your shares? If you are business owner or professional, you can start issuing and managing shares all online. Try out our Eqvista App, it is free! With the help of a lawyer, these two founders create a corporation named Ultra-Sonic Inc. They both decide to split their shares at the ratio of 60-40, where Mike has 60% of the shares of the company and Tony has 40% of the shares of the company. Mike gets the most since his technical skills and background would help them create the best products, which is a scalable part of the business. As Mike owns most of the company shares, he becomes the CEO of the company. Ultra-Sonic Inc. is registered and incorporated in Delaware as a C corporation, which gives the company a total of 10,000,000 shares of Common Stock outstanding. Each share would be issued at a price of $0.001 per share, with the total value of the company as $10,000. 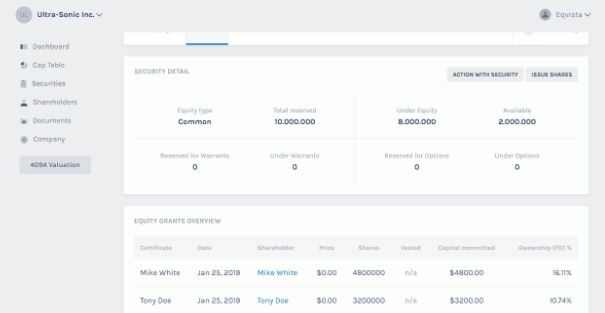 Mike & Tony create their cap table using the Eqvista application (which is FREE to use) to keep track of all the shares. After entering in all the data of the company, Mike and Tony organized their shareholdings all online with the Eqvista app. Here they can easily see how many shares and percent ownership they have. With this, they can keep all the details of their company up to date and organized, in real time. Now, as per the business plan, Mike and Tony had decided to keep aside 2,000,000 shares for using later on under the category of ESO. To keep the shares aside, he created the option class for the ESO pool, which appears in the cap table with the other shareholder ownership. 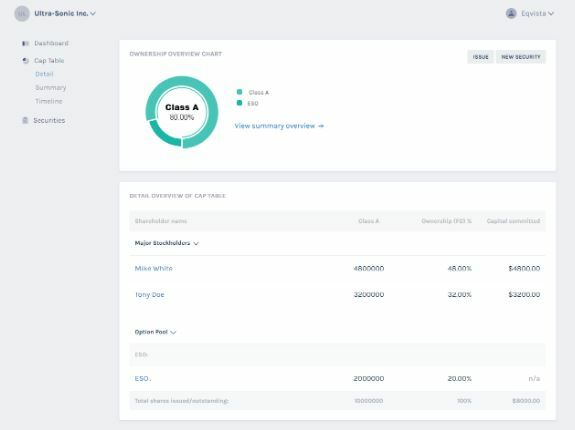 You can clearly see how the things are in the cap table above, and as we move ahead, this cap table would become much more complicated, which is why Tony decided to use Eqvista to make things easier for him. Let us move ahead in the story. Now, before the company can successfully begin producing the material, Tony and Mike need to prepare one or two pieces to give their idea a try. So, for this, Tony decides to ask his family for a little help in capital. This capital would be used to obtain the raw materials and have the jackets prepared with the assistance of a third-party company. When the products were ready, Mike used his knowledge to create the jacket using the low cost materials Tony obtained. After weeks of work towards creating two perfectly affordable solar heated jackets, Mike and Tony decide to put them into use for a day or so to see how it works. Things work great for these two founders. And after two days of testing the product on themselves, they decide to move to the next step and begin producing the jackets on a larger scale. The idea for them is to produce 100 test pieces that would be put in the market to see the sale response and the feedback from those who purchase it. But since Mike and Tony have no capital to purchase the raw materials and machinery to product the solar heated jackets, it becomes important for them to get some initial outside investment. For this, Tony prepares the business plan and begins to connect with his network, searching for an angel investor who can invest in their plan in exchange of convertible notes. This initial investment is called the pre-seed round of investment. As you already know, this round is called the pre-seed round as it is the very first investment that helps the company in producing their very first products. These initial products created would be tested in the market to see if people like and purchase it. Just like you saw in our example above where Tony decides to put the products in the market. To help you understand this idea better, I am explaining the pre-seed round a little more. Now, since the company is still in the state where they are going to test the market, only an angel investor would be willing to invest in them. On the other hand, the venture capitalist and banks do not take risks by investing in the pre-seeding stage of the company. This is because, if the company fails, they would lose most or all of their investment. However, the angel investors tend to take risks and invest into such companies, though the investment is not as much as what the banks or VCs offer. The angel investors would first carefully study the business plan and the technical background of the owners before they agree to invest into the company. These two conditions would determine the amount invested by the angels. Moving back to the example that we were discussing; Tony meets an angel investor through a common friend who likes their idea and accepts to invest in their company in exchange of convertible notes. Tony and Mike agree with the deal and accept to offer the angel investor with convertible notes in exchange. 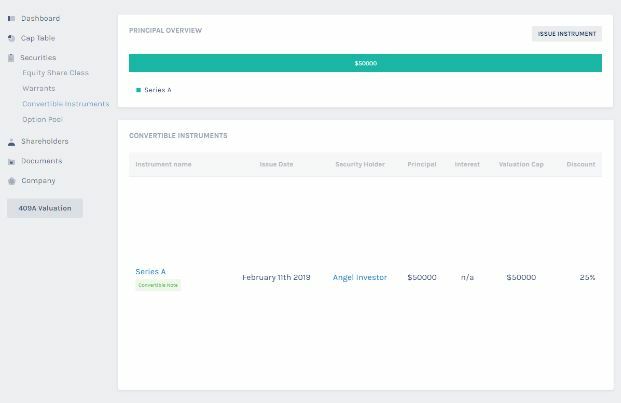 Delighted, the angel investor offers about $50,000 initial investment that is counted as the pre-seed round in return for convertible notes. I would like you to understand the example better which is why I would be talking about convertible notes now in the next section before we can get back to continue with the example and see how far Tony and Mike reach. A convertible note is a type of short term debt and converts into equity, mostly when the next round of funding takes place. Basically, an investor would invest in a company, just like the angel investor invests in Ultra-Sonic Inc., while the investor gets equity in return instead of money, in the form of the principal plus interest. The basic idea behind the convertible notes is that the investor doesn’t invest based on the value of the company. The investor risks their funds for a chance for a larger payout once the company grows. This means that when the next round of investment that takes place, the Series A funding round, the value of the company would have increased. That is when the convertible notes would be converted into equity based on the investment made by the angel investor during the pre-seed stage. Another important thing about these convertible notes that you should know is that they are simple documents, which means that there wouldn’t be any need to hiring an expensive lawyer to negotiate and create the documentations. Back to the example that I was sharing with you; the angel investor that invested in Mike and Tony’s company would be paid back with the investment during the next funding round. In this case, the invested amount is $50,000 in exchange for convertible notes. This amount is used to gather the needed machinery and raw materials to start the production of the solar heated jackets. How do convertible notes work for the investor? As soon as the company reaches the Series A round funding, the value of the company is determined. This is when the convertible notes are then converted into equity at a predetermined discount (as per the convertible notes documentation) to the valuation prepared for the Series A funding round. This discount is offered as the investor took up the risk by investing in the company when no one else was ready to do so. It should be noted that until the convertible notes are converted into equity, it would be considered as debt. How much equity would the investor get for the convertible note? The equity the angel investor would get for funding Ultra-Sonic Inc. with $50,000 would depend on the Series A round along with the discount rate and the valuation cap. Here in this case, as Tony and Mike were negotiating the first investment, they avoided the used of a valuation cap (Definition shared below). The discount rate is the repayment to the investor for taking the risk and it normally ranges from 20% to 40% in many cases. Here in this case, the discount rate is at 25%. 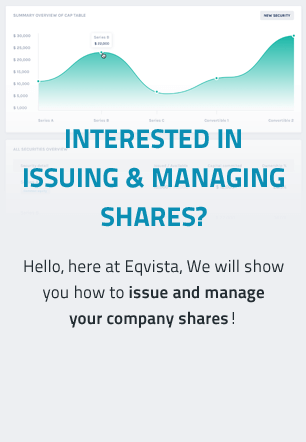 The Convertible Notes can be tracked on Eqvista, with the key details of each by outside investors. Here Mike and Tony can add, edit or delete convertible notes for their company, and also see how these affect their shareholding as well. Interest rate: The convertible notes also have an interest rate that comes into play as soon as the notes are converted to equity. In this case, Tony and Mike offered the angel investor with a 2% annual interest rate. This means that after a year, the investor would get $400 worth of equity when the convertible notes convert. Maturity date: This is the date when the convertible notes have to be repaid, which in this case is 2 years from when the convertible notes are given to the angel investor. This means that if the company does not reach the Series A funding round, the note would turn into “x” amount of shares. In this case, the convertible notes would turn into $80,000 worth of shares. On the maturity date, the valuation would be calculated based on the various revenues the company obtained since the starting. With this investment round, the cap table and ownership is affected to a large extent, though this change is seen only after the company reaches the Series A round. But before we can reach the Series A funding round, the company needs employees. Plus, with the little investment obtained from the angel investor, it is impossible to pay workers a lot in the beginning stage of the company. And without workers, the products would not be prepared on time. So, the next step that Mike and Tony decide to take up is hiring the best talents in the industry by offering them with equity compensation via ESOs (Employee Stock Options). This plan is only offered to the highly talented professionals who have about 5 to 10 years of experience. Mike makes a clause where only the Senior Executives would be able to enjoy such a bonus. They begin to hire and gather about 10 employees out of which 3 are given the position of the seniors in the company. In short, Mike and Tony, as promised, had to offer these three executives with the stock options. Before we can move ahead with the case study, let us understand what ESOs are all about. ESOs, known as employee stock options, are a type of equity compensation that is offered to the employees and executives by the company. As per the ESOs scheme, the employee has the choice to purchase the company’s underlying asset (stock) at a predetermined (usually discounted) price for a specific amount of time. The details of the ESO is noted in the agreement prepared for the plan to be executed after the employee agrees with the conditions the company is offering. Lets the employee know how much their work means to the company. Note: ESOs and ESOPs are two different plans. In this case, Mike offers the executives with the choice to purchase a total of 10,000 ESOs each and for a period of 4 years. During the first year, the price of the share is at $0.1 (which is about a year after the pre-seed round). The price then increases to $1 in the second year and $2 per share in the third year. During the fourth year, the company experiences a huge profit and the value of the share goes up to $5 per share. Based on these values, the employees purchase the shares during the four years period and take up their tiny bit of ownership of the company. From this, they are motivated and work extra hard to make the company grow, as they take it as their own now. With a situation like this, Mike and Tony did not have to worry so much about the outcome of the company. Also, the employees were allowed to vest the options after 4 years of purchasing the overall shares offered to them. The shares were bought by the company on behalf of the employees. Tony and Mike would withhold part of the salaries of the 3 employees who were granted the choice of owning the company shares. This amount was then used to purchase the options on the right time. Due to the plan set out this way, Tony and Mike can be assured that the employees would not leave the company any sooner. With the ESOs offered and the pre-seed round completed, Ultra-Sonic Inc., was in the place to move to the Series A funding round. With this case study, you can understand that raising money from outside does cost you to to give up part of your ownership just like Mike and Tony had to do so. Moreover, if you want the best of the company with the best employees, you would have to offer them with equity compensation. And for this, you would again have to give up a part of the company ownership. If you are in the pre-seed round, it is advised to not use the valuation cap for the convertible notes. This is because you would end up giving up a lot of equity to the investor. With this example case study, you would have understood all the parts of the pre-seed round and all about the ESOs and convertible notes. In the end, it is advisable that you keep your cap table updated at all the time as soon as you start your company since things become complicated further. And if you do not note them down, you might end up losing a lot of your company’s ownership giving out shares of your company. To keep a track of the equity, you can use software programs like Eqvista just like Mike and Tony used it. Check out more about Eqvista here in details!